I’ve been learning photography since 1988 when I took a photography class at university as part of my fine arts degree. It was there that I learned all the basics. And since then, I’ve continued to learn and I am pretty sure that I will keep learning until the day I put down the camera (how profound!). 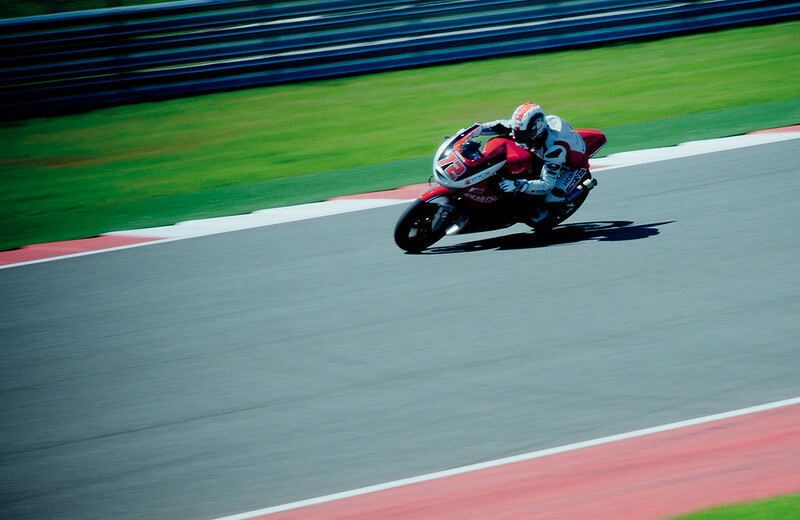 With that said, a couple weekends ago a few buddies and I went to see the inaugural MotoGP race here in Austin, and got my feet wet in the world of motorsports photography. Nothing super-serious of course, but I had never done photography like this before, and my buddy Jeremy has some experience in this so it was the perfect opportunity to learn. The weekend combined two of my favorite things: motorcycles and photography. So it was bound to be a good time! 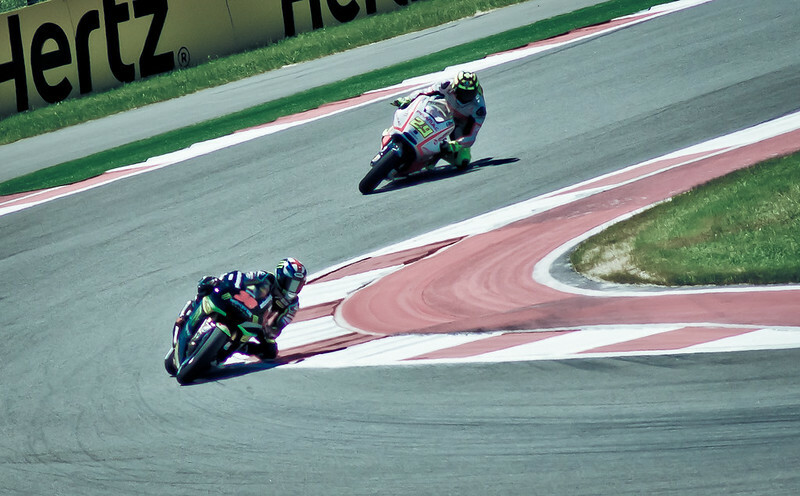 Learning photography at MotoGP! First off, I prefer wide-angle landscapes and cityscapes and rarely use a long lens. The longest that I own is a 100-200mm Minolta lens, and the only times I used it were at the kids’ school functions like plays and performances. At 200mm, it still doesn’t have great reach but it’s all I got, and it did a decent job and gave me a new perspective on this type of shooting. Making photos of the motorcycles whizzing by was difficult, and would have been almost impossible for me to figure out without the help of Jeremy. He taught me a couple things about shutter-speed settings and panning. I hardly ever use shutter-priority, but that was the name of the game for most of the weekend since there was a bit of distance from the spectator areas to the track itself. For the panning shots I would set the shutter-speed at around 1/160 – 1/320, set the continuous mode to high (10fps), pre-focus manually, and then go to town. I previously thought that I would have a much higher shutter-speed to capture the action, but with panning shots, that wouldn’t work well. The reason being that most of the spots around the track had a fence or two separating you from the action, and panning at that relatively slow shutter speed would blur out the fences (the fence nearest me as I was right next to it was virtually invisible) while keeping the motorcycle in focus (assuming your panning was smooth). The other type of shot was when the motorcycle was coming more or less straight towards me. For those shots, a high shutter-speed was essential. I shot mainly at 1/1250 – 1/4000. This kind of shot was fun to do but wasn’t nearly as exciting, and the results were also not as dynamic. Without the blurred-out background, it’s hard to get a sense of the speed that the racers were traveling at. These photos were mainly reliant on composition and framing. I’m really happy with the photos I got and really satisfied that I learned so much. I have a new appreciation for sports photographers, and motorsports photographers specifically. If you want to see a few more of the photos I took, you can check out the flickr set I created.